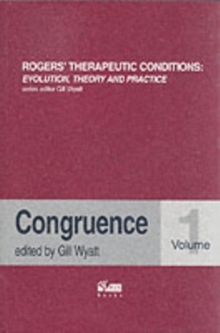 In this title, another distinguished international collection of theorists and practitioners lead the serious student to a cutting-edge appreciation of Unconditional Positive Regard. 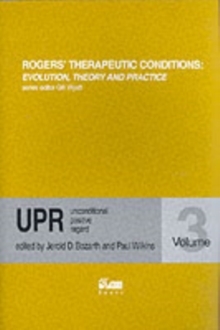 Once dubbed a 'controversial' condition by Germain Lietaer, and seen by Jerold Bozarth as the 'curative factor' in client-centred therapy, UPR has never before had so much attention focused on it. 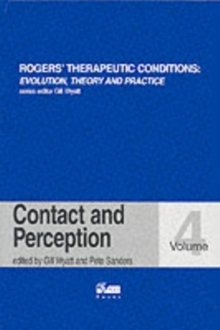 Readers from all disciplines can discover how contemporary person-centred therapists are thinking about, and working with, this 'core' condition.